sylhet travels Archives - Khaled Rent A Car in Dhaka, Bangladesh. Your Secured and Trusted car rental partner. Sylhet is a district situated between the Khasia and Jainta hill tracts on the north, and the Tripura hill tract to the south. It is a beautiful place with scenic tea gardens lush green tropical forests and many other beautiful spots. It is also the home of Monipur, Tippera, Khasi and Garo trbal people. There are two rivers named the Surma and Kushiara. Many streams meander from the hills of north and connect with these rivers down south. There are a good number of marshes in Sylhet, in the winter season, lots of birds migrate to these marshes. Greater Sylhet consists of the districts Sylhet, Sunamganj, Habiganj and Moulvibazar. Sylhet has an interesting history. There is the famous shrine of the saint Hazrat Shah Jalal. The shrine is visited by innumerable devotees from far away. Hazrat Shah Jalal was born in Cunla, a city situated in TTurkey. His ancestors were from Yemen. Both his father and mother died. When he was a little boy. After that, his uncle Hazrat Sayed Ahmed Kabir looked after him. One day Hazrat Shah Jalal dreamt that he should go to Delhi. He was very desperate to go there. His uncle picked up a handful of soil and gave it to him, saying that he should stay and preach Islam wherever he gets soil similar to the scent and colour. So, after travelling to Delhi and other places, he came to Sylhet in 1303 with 360 disciples and defeated the king Gour Govindo. Legend says that he transformed followers of the Raja into catfish, which are still alive in a tank near the shrine. Swords, the holy Quran and the robe of the saint are still preserved in the shrine. There are two gigantic metallic cooking pot, in which people put money. Moreover, there is a well near the shrine. It is said that the water level doesn’t decrease or increase, it stays the same. The shrine of another famous saint, Hazrat Shah Paran is situated 7 kms away from Sylhet town in a place called Khadim Nagar. He was the nephew of Hazrat Shah Jalal. The Shahi Eidgah situated in Sylhet town was built by the Mughal Emperor, Aurangazeb, in the 17th century. It looks like a fort, but it is actually meant for Eid congregations. The Murarichand Government college is situated on a hilltop. It was established in 1821. To the north-west of the college lies the remain of Raja Gour Govinda’s fort. About 500 years old, renowned temple of Sri Chaitanya Dev is located at Dhaka Dakhin, about 45 kms south-east from Sylhet. The place is the ancestral home of the famous Vaishnava saint Vaishnava. There is a park called ‘Natural park’, which is situated about 3 km away from the Osmani Airport. Here you can see some small hills. 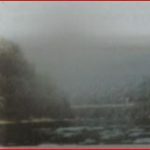 Near the airport, there is a Motel, which is situated on a hilltop. You can get a good view of luxurious pastures from up there. The hospitality of the motel is very pleasing. In Sylhet town, there is the famous clock of Ali Amzad, near the old Surma bridge, which is also famous, if you come to Sylhet, don’t forget to have a look at them. Jaintapur is a place situated 43km away, north of Sylhet town. Jaintapur included the Khasi and the Jaintia hill tracts and plains of Jaintia. Jaintiapur Rajbari is about 34km away from the town. 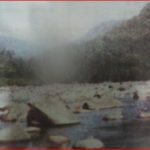 Only 5km away from Jaintiapur is Jaflong. It is a scenic spot, amidst tea gardens and rare beauty of rolling stones from hills. You can also see from Jaflong a hanging bridge called “Dawkil”, which is in India. 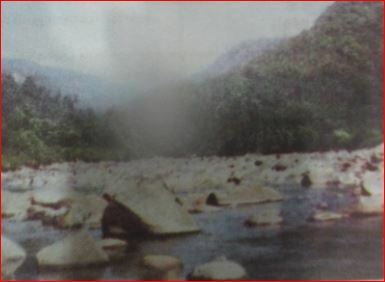 A river called ‘Piyain’ flows across Jaflong. You can take a bit trip there. There is a bungalow in Jaflong where you can rest if you like. There is an elephant and you can ride it too. Tamabil is a border outpost on Sylhet-Shillong road and about 55km away from Sylhet town and 10-15km away from Jaflong. You can glimpse the waterfalls on the mountains, across the border. Near Tamabil there is a bungalow on a hilltop, where you can take rest and you can have a look at the waterfall lying far away on big green mountains.